ARANIA at Blechexpo 2017, the most important sheet metal transformation international trade fair in Europe. 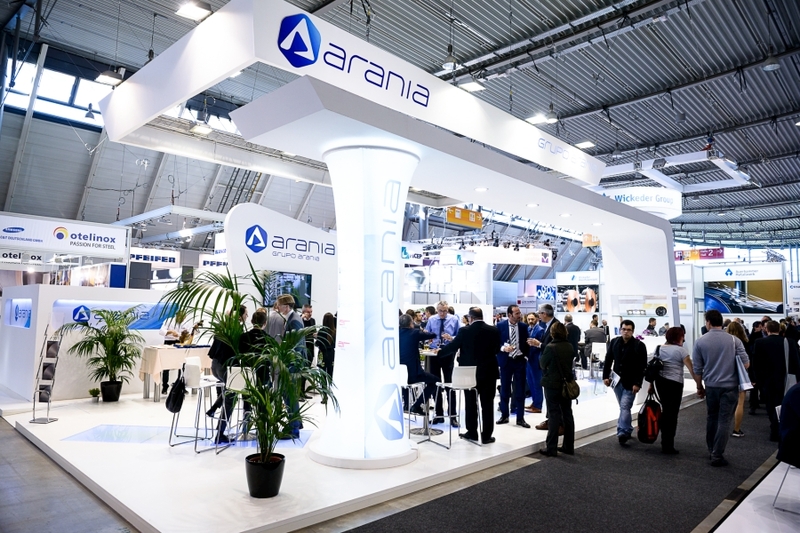 ARANIA will take part once again at Blechexpo 2017, the international trade fair for sheet metal processing and joining technology held every two years in Stuttgart, Germany. It is currently the only event in the world dealing with complementary technologies for sheet metal processing and joining including all processes, machines, installations, peripheral devices and relevant techniques. ARANIA will participate in Blechexpo providing its experience as a leading company in southern Europe in the sector of precision cold-rolled low and high carbon steel strips and in alloyed steels and micro-alloys of high-limit elasticity. The fair, to be held from the 7th to the 10th of November 2017, is not only a buying platform but also a place of information and communication for institutions and companies that promote research and learning in the transformation of sheet metal. As on previous occasions, with the occasion of the fair on Wednesday, November 8, ARANIA will celebrate for its costumers a cocktail at its stand (hall 4, stand 4407) where ARANIA will showcase the novelties and advanced technology that allows it to supply a competitive product, adapted to the needs of each client. ARANIA, which has two production plants in Bizkaia (Spain), has a clear export vocation with a 70% production destined to foreign markets, mainly Europe, Central and South America. ARANIA is part of the Arania Group, an industrial group of companies with a long experience in a multi-sectoral activity which has revolved around steel processing for more than 75 years, and an export rate of 80%..